Google and Facebook, together, dominate the world of advertising, accounting for one-fifth of revenues across all media in 2016. That is massive growth compared to the 11 percent the companies commanded back in 2012. Alphabet-owned Google hit $79.4 billion last year, making it the largest media owner in the world with three times as much ad revenue as second place Facebook which brought in $26.9 billion. Comcast placed a distant third with $12.9 billion in ad revenue, according to latest edition of Zenith’s Top Thirty Global Media Owners. 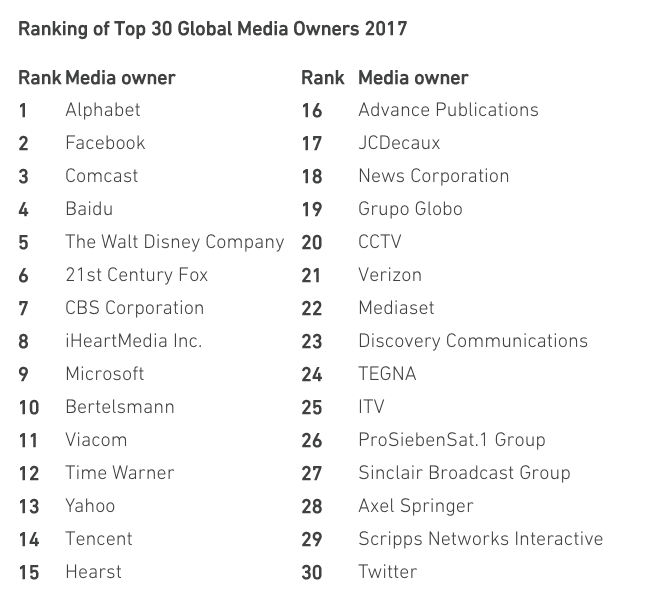 Along with Google and Facebook, there were five additional Internet-only media owners in the top 30: Baidu, Microsoft, Yahoo, Verizon and Twitter. 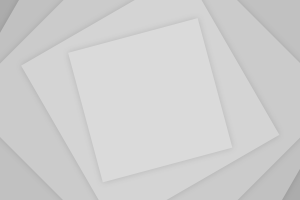 Together, these seven digital platforms generated $132.8 billion in Internet ad revenue in 2016, making up 73 percent of all Internet adspend, not to mention 24 percent of global adspend across all media. Twitter is the fastest-growing media owner on the list with an increased ad revenue of 734 percent between 2012 and 2016. Chinese company Tencent is second with a growth rate of 697 percent followed by Facebook in third with 528 percent.